Gillette Stadium was built between 2000 and 2002. 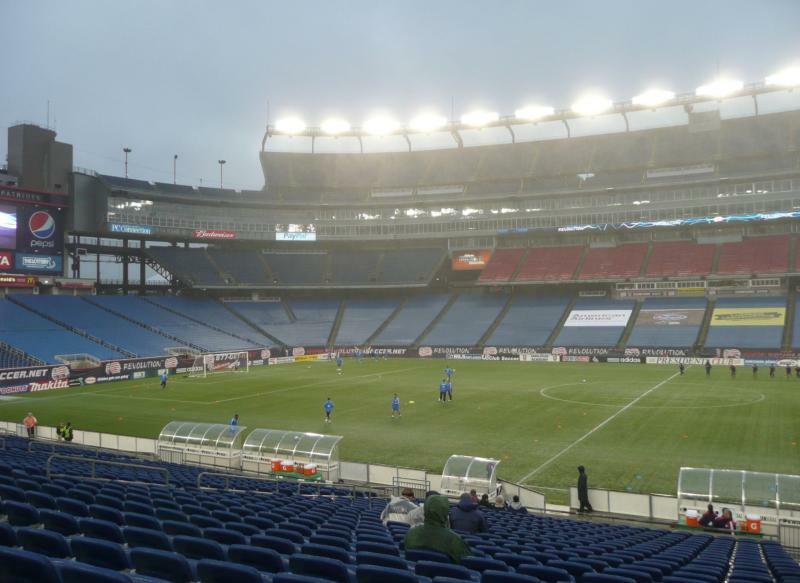 It replaced the old Foxboro Stadium, which had hosted several matches during the 1994 World Cup. Main purpose of the new stadium was to provide NFL-side New England Patriots with a new and modern home. Various options for more urban locations in either Boston, Providence, or Hartford were considered, but these suggestions led to fierce resistance of local residents and in the end was chosen to use the same site as the old Foxboro. The new stadium was paid for by Robert Kraft, business magnate and owner of the New England Patriots, but also of the in 1996 formed New England Revolution. Total costs are estimated to have been $325 million. 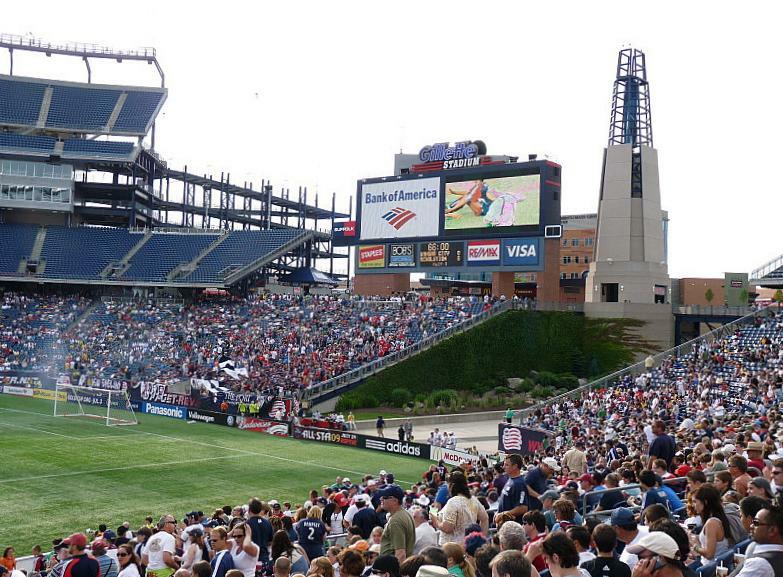 Gillette Stadium officially opened on the 11th of May 2002 when the Revolution received the Dallas Burn (2-0). 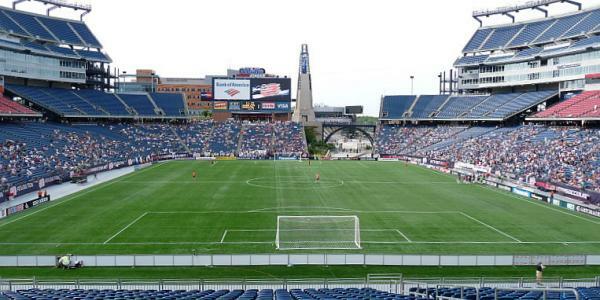 For New England Revolution games tickets are only sold for three sides of the lower tier, which roughly translates into 20,000 seats. 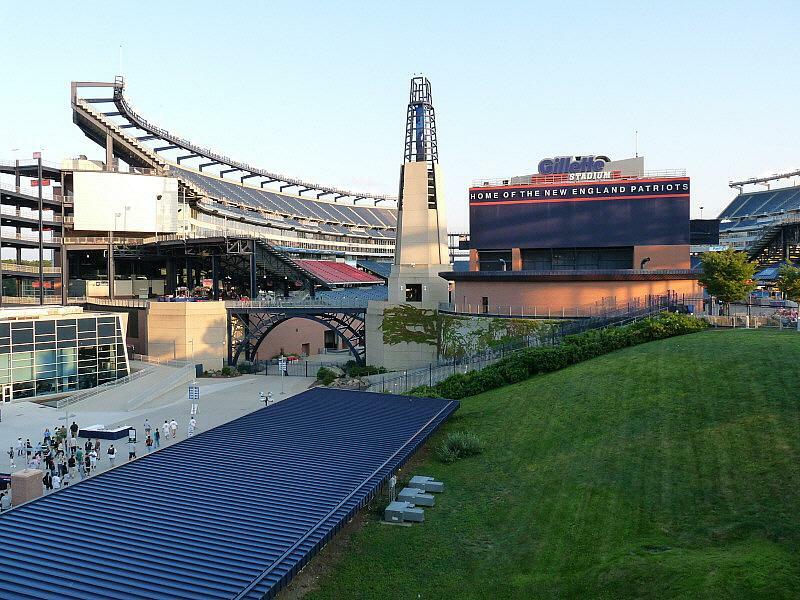 Gillette Stadium furthermore counts with 6,000 club seats and 87 luxury suites. Gillette Stadium is located in the town of Foxborough, which lies about halfway between the cities of Boston and Providence. The distance from central Boston is just over 25 miles and that from central Providence 23 miles. From central Boston take the I-93 south to the I-95 south (exit 1). Follow the I-95 for about 7 miles and take exit 9 toward Route 1 South. Follow for three miles until you see the stadium on the left. From Cape Cod follow the I-495 north until exit 14A. Exit toward Route 1 North and follow Route 1 until reaching the stadium. From Southern Connecticut and Rhode Island follow the I-95 north to the I-495 north. Follow the I-495 for a few miles and take exit 14A toward Route 1 North. Follow Route 1 North until reaching the stadium. 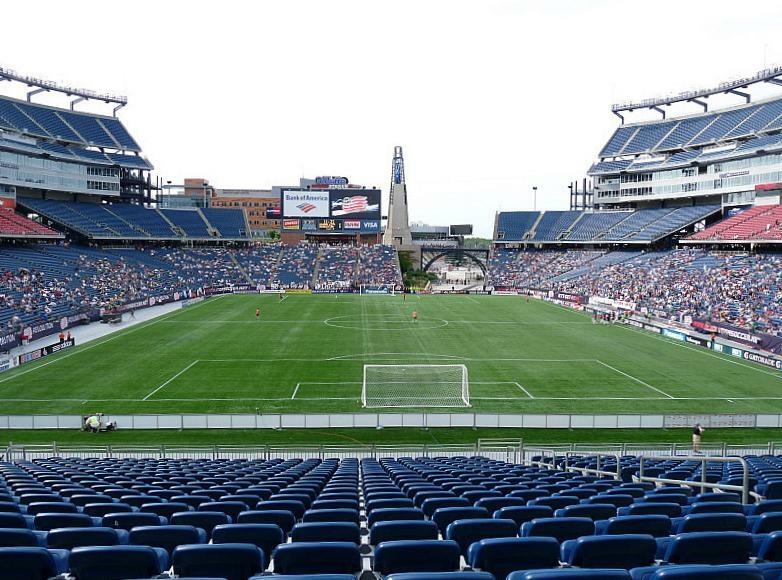 Tickets for New England Revolution games can be bought online, or at the Ticket Office at the Gillette Stadium. Tickets can also be bought at the Ticket Office on the day of the match from two hours before kick-off. 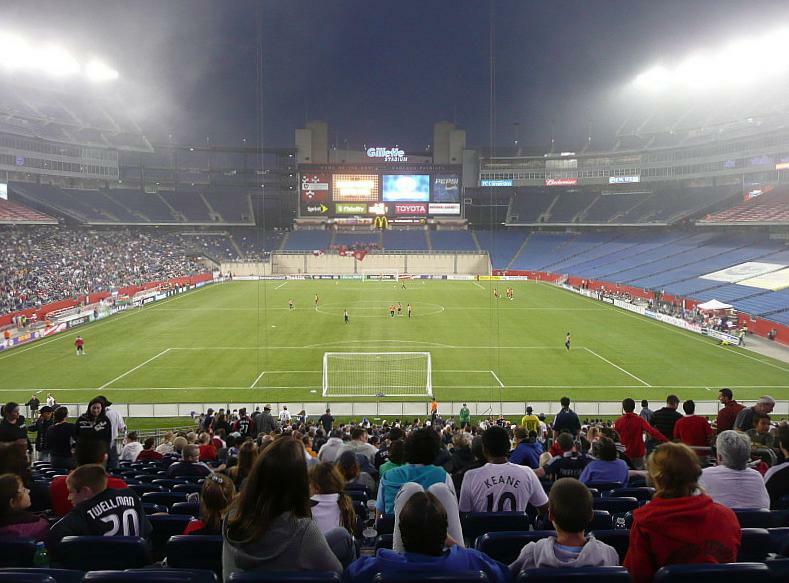 Despite the stadium’s reduced capacity, Revolution matches rarely sell out. Tickets for the Revolution supporters section end cost $23.00. Other tickets (for the sides or corners) range in price from $24.00 to $66.00 for a club seat. For more information email tickets@gillettestadium.com. Revolutionsoccer.net – Official website of the New England Revolution. Gillettestadium.com – Official website of the Gillette Stadium. Gillette is a great venue for American football (and a remarkable improvement over the old stadium on the same site), but there are two big problems. First, is is simply too big for an MLS franchise. A decent Revs crowd of 20-25,000 is lost in a 70,000 seat venue. Second, the location is lousy. It’s on a two lane road about 30 miles outside of Boston. If you’re spending a Sunday tailgating and watching the Patriots, it’s managable. If you want to catch a midweek Revolution match, it’s a big pain in the neck. Making things worse, the train which runs to the stadium for Patriots games, international friendlies, and some concerts doesn’t run for Revs games. The Revs really need a smaller stadium accessible by the MBTA subway. 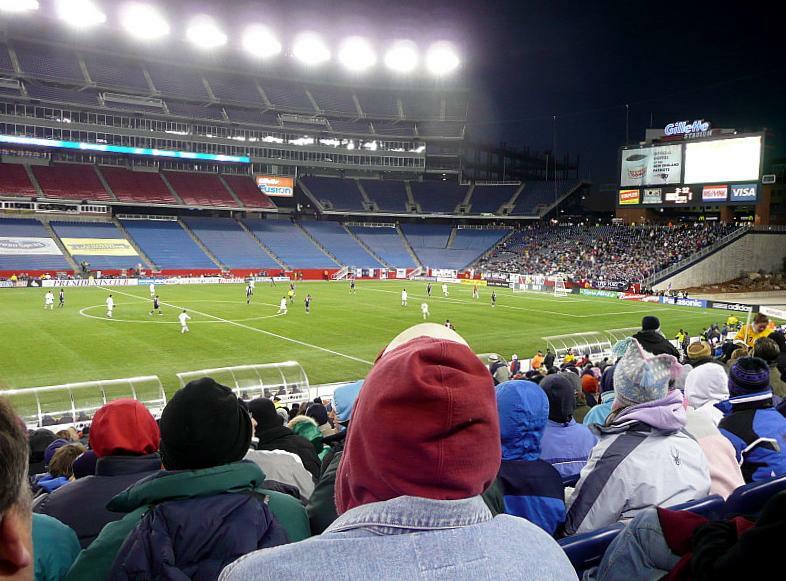 Locating the stadium in Boston proper (or a close-in community like Somerville or Revere) would also make it easier for fans living in the northern suburbs and southern New Hampshire to get to matches. this ballbark is poorly designed,theres a big hole in north side of field level seating bowl which allows wind gusts to interfere with passing game.